Fairfield homes are located just minutes from Napa Valley Wine Country and freeway close to San Francisco and Sacramento. 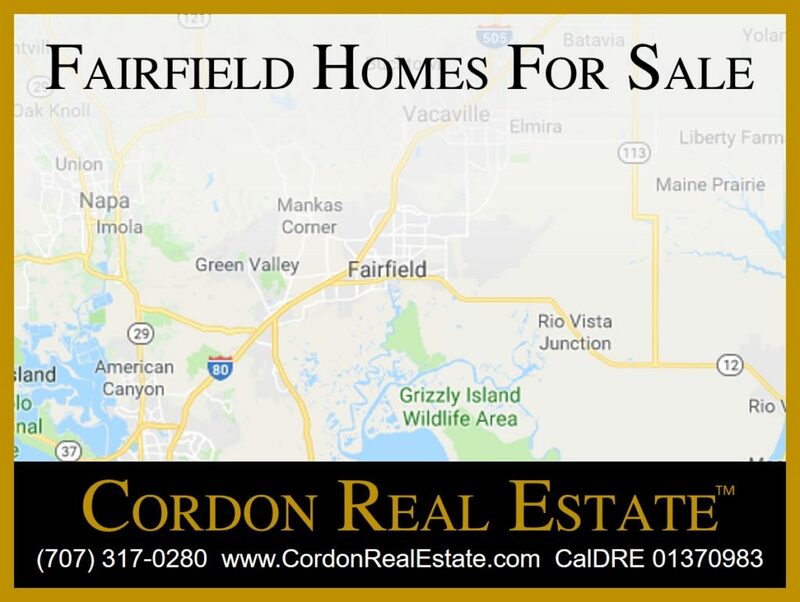 Fairfield hass many affordable neighborhoods, plus luxury communities such as Rancho Solano and Green Valley. View listings of current Fairfield homes for sale below, then contact us to schedule showings.